Towns just 24 miles northwest of Chicago are packed with decades-old sushi joints, traditional izakaya, and hand-pulled ramen shops. Here are the best places to visit. On a dreary, bitterly cold Saturday afternoon in late February, Mitsuwa Marketplace in the Illinois suburb Arlington Heights was anything but. The sprawling shopping center was buzzing with life, packed with families pushing carts through aisles of colorful gummy candies, frozen shrimp and pork gyoza, burlap bags bursting with rice, and plastic-wrapped sashimi. The food court hummed with the late-lunch crowd, a sea of steamy ramen, crispy pork tonkatsu with shredded cabbage, and bright green matcha soft serve, while teenagers passed through the adjacent bookstore clutching stacks of anime novels. The energy, the smells, the sounds—it wasn’t exactly Shinjuku Station at rush hour, but it was about as close to Tokyo as you can get without leaving the Midwest. Situated about 24 miles northwest of Chicago and just ten miles from O'Hare International Airport, Arlington Heights, along with surrounding towns like Mount Prospect, Rolling Meadows, Elk Grove Village, Palatine, and Schaumburg, has blossomed into a hub for Japanese cuisine. Stashed amid stripmalls, mega-churches, soccer fields, and office parks are decades-old sushi joints helmed by accomplished Osaka-born itamae, traditional izakayas hawking sizzling chicken skewers by the hundreds, and enough hand-pulled ramen and udon soup to flood Lake Michigan. The story of this unexpected culinary enclave starts in the late 1980s, when major Japanese corporations like Ricoh, NEC, Sumitomo, Sysmex, Astellas Pharma, and INX began building North American headquarters in these once-sleepy commuter towns. It was prime territory—the central location provided easy access to both coasts and there were no shortage of direct flights to and from O’Hare, which remains one of the world’s busiest airports. The communities themselves eventually got into the game. According to a 1993 Chicago Tribune article, the city of Schomburg even placed an ad in the Japanese business journal President, boasting, "Easy access to major highways. Fifteen minutes to a major international airport. Excellent educational system. World class shopping mecca." As a result, fleets of employees were transferred stateside, and it wasn’t long before an entirely new economy sprung up to cater to these incoming workers. Today, the economic advocacy organization World Business Chicago estimates that 350 Japanese companies call greater Chicago home. Japanese language and day schools, cultural centers, churches, martial arts gyms, salons, travel agencies, specialty markets, and, yes, restaurants continue to thrive around the area, attracting residents as well as expats driving in from the city or as far away as Wisconsin and Indiana just for a taste of home. 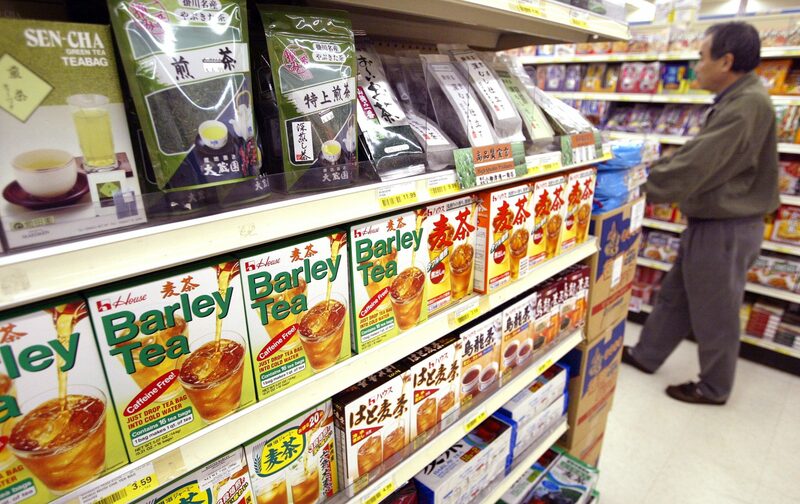 Charlie Takeuchi, who lives in Chicago’s tony River North neighborhood, is among those recent transplants who make the trek up I-90 most weekends to stock up on groceries and grab a bite. A Commercial Senior Field Marketing Manager at Beam-Suntory, he was one of the over 450 Japanese employees relocated to Chicago after the international booze giant moved its global headquarters to the Merchandise Mart in 2016. Chicago is indeed home to a number of highly acclaimed Japanese establishments—Boka Restaurant Group’s Momotaro, Julia Momose’s Kumiko, and Iliana Regan’s Kitsune, to name a few—but when it comes to classics served in a homestyle environment, the northwest is in a league of its own. The next time you find yourself with a hankering for hand rolls, consider venturing outside the city limits to one of these stellar outposts. The only Midwestern outlet of a popular California-based chain, this is a one-stop shop for all things Japanese, from manga to mochi. The market, which offers produce, frozen and prepared foods, sushi-grade fish, pantry staples, liquor, and sweets, is the focal point, but those in the know make a beeline for the food court. Highlights include housemade udon and tempura at Sanuki Seimen Mugimaru, spicy pork donburi from Sutadon-ya, Tokyo Shokudo’s succulent, curry-smothered chicken katsu, and Santouka, a ramen shop famous for their impossibly thick, slow-simmered tonkotsu broth. There’s also a bakery, bookshop, cosmetics counter, chocolate shop, insurance company, cell phone store, and video rental (yes, with actual DVDs). This relative newcomer is a bit flashier than its neighbors, decked out like a Tokyo alleyway with rustic communal tables, illuminated neon signs, and vintage posters, but the food stays true to its roots. The spicy chicken paitan ramen—egg noodles, pork belly char siu, jidori egg, kikurage mushrooms, and fiery chilis in a light, fragrant bone both—is not to be missed. This relaxed tea room goes big at lunch, when business folk feast on savory nabeyaki niku udon brimming with marinated beef and broiled saba shio-style mackerel. The dinner menu is enormous, but the motsumi, a slow-cooked miso tripe stew, is worth the return trip alone. Just down the street from Mitsuwa sits this quirky Kaiten-style sushi bar where rolls stuffed with black pepper crab salad or shrimp tempura arrive at your seat via conveyor belt. Keep your eyes peeled for tender ika nigiri, salmon roe gunkan, and other house specialties as they roll down the line. This fast-casual favorite features cuisine from Kyushu, Japan’s southwesternmost island. The yakatori is wood-fired on a binchō-tan grill, producing an intoxicatingly smoky flavor that nicely complements shochu cocktails. Inside this narrow, wood-paneled storefront, bouncy noodles swim in a variety of broths, namely hearty miso-pork, creamy egg-based, and delicate clear chicken options. Fixings like soft boiled eggs, juicy braised pork, and spicy stir-fried vegetables top things off. Melt-in-your-mouth cuts of wild-caught sashimi shipped in daily from both coasts have been flying off the shelves of this grocery and cafe for more than 20 years. They also stock imported rice and noodles, meat, produce, snacks, booze, and even housewares, but it’s really all about the take-away sushi. What began as a dimly-lit ‘80s izakaya (read: grilled hamachi collar, steamed chicken livers, fried menchi katsu cutlets) has since expanded to include sushi and sashimi, udon, ramen, and loaded bento boxes. But don’t think that going family-friendly means it lost its edge—there’s still plenty of Japanese beer, sake, and shochu on offer. Checkered tablecloths dot this spacious strip mall gem, where hand-drawn illustrated menus showcase pan-fried dumplings, sushi and sashimi platters, whole-grilled fish, curry katsu, and udon alongside izakaya standards like meat skewers, chicken karaage, and takoyaki octopus balls.